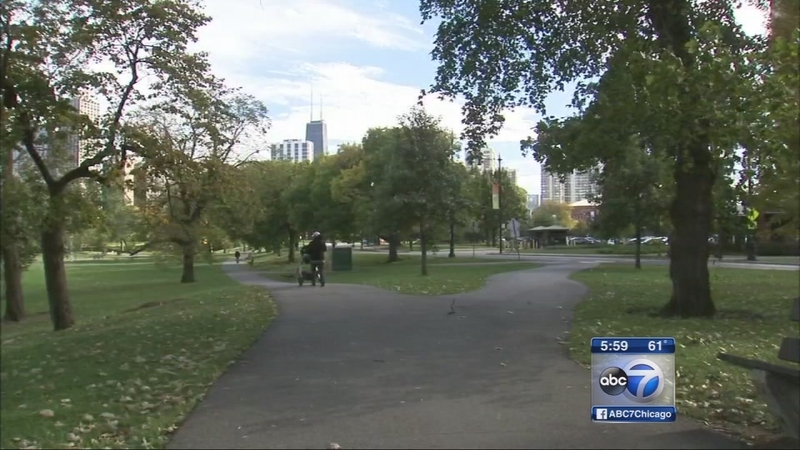 CHICAGO (WLS) -- Chicago police say a man tried to sexually assault a 43-year-old woman along a walking path in Lincoln Park. The woman told police she was exercising on the path near the 1700-block of North Stockton Drive when a man hit her with an unknown object and tried to sexually assault her just before 8 p.m. Monday. She was able to get away and call police. She was treated for non-life-threatening injuries at Northwestern Memorial Hospital, police said. The area of the park where the alleged attack took place is popular with joggers and walkers. "I don't go when it's dark out, and I don't go before the sun rises. You have to be really aware, take your phone. And you have to look," said Lucyna Wojtas. The suspect was described as a man 6-foot-1 to 6-foot-4 and very skinny, police said. He was also described as having a strong body odor. Chicago police are urging residents to remain alert and to take a flashlight and whistle with them when exercising outdoors after dark. Anyone with information should call police at (312) 747-8380.